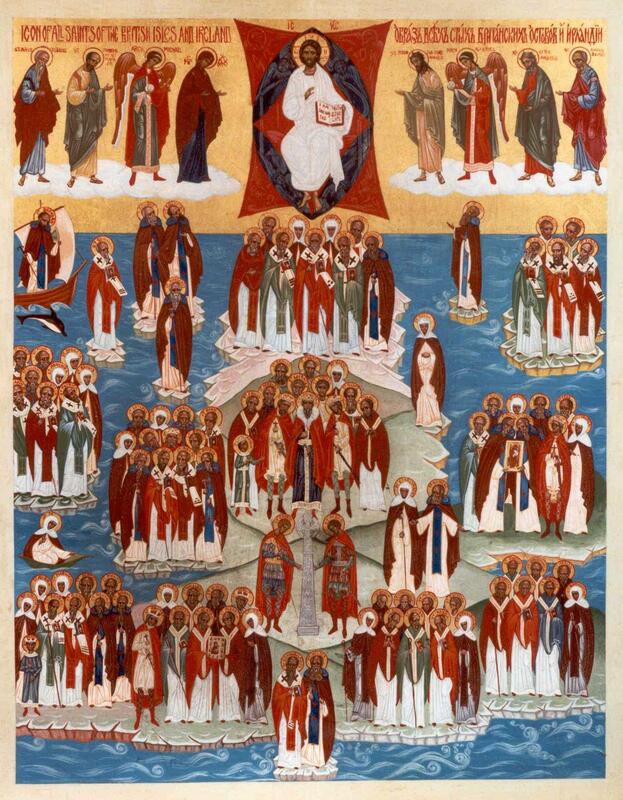 Almighty God, we bless thy Holy Name for all thy saints, and most especially for all the Anglican saints and worthies who have laboured in thy vineyard. Endow us, we beseech thee, with minds clear, faith firm, courage true, and charity thorough; that we, following their example, may keep thy commandments with boldness: having innocency in simplicity, peaceableness in love, modesty in lowliness, diligence in service, watchfulness in helping those who toil, mercifulness in succouring the poor, constancy in defending the truth, and severity in keeping discipline. For these are the footprints which the saints have left us, even as they returned to their fatherland, that we, treading in their steps, might follow them into joy; through Jesus Christ our Lord. Amen. We beseech thee, O Lord, to multiply thy grace upon us who commemorate the saints of the Anglican Church*: that, as we rejoice to be their fellow-citizens on earth, so we may have fellowship also with them in heaven; through Jesus Christ our Lord. Amen. * These two collects were originally written for the Feasts of “Saints, Martyrs, Missionaries, and Doctors of the Church of England” (“of our nation”) and “Saints of the British Isles” (“of this our land”), respectively.